Situated within Whisby Nature Park, The Natural World Centre is just five miles from Lincoln City centre. At the Natural World Centre, you’ll find a great bistro serving hot and cold snacks, meals and treats from locally sourced produce as well as a well stocked shop featuring local artists and crafters from across Lincolnshire. 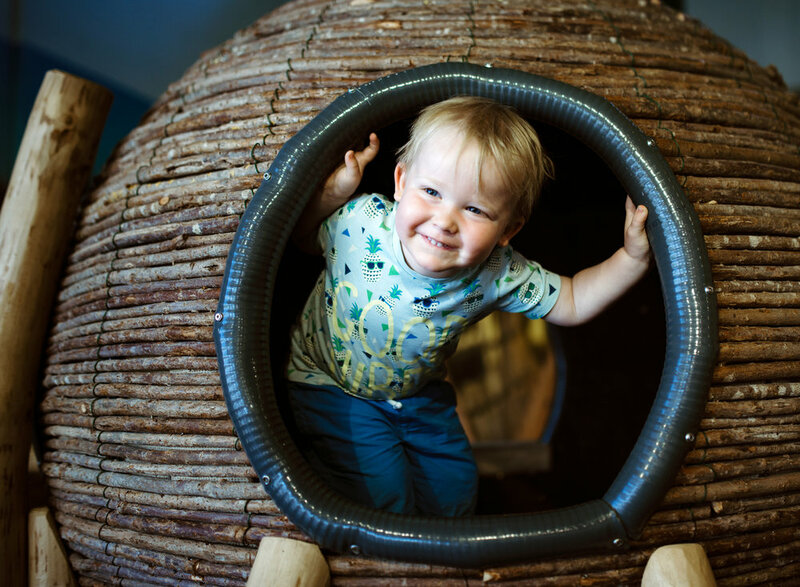 Release your inner explorer at Little Darter’s Wildlife Adventure! Packed full of exciting tunnels, exploration towers and pits; you can watch wildlife in action, dig for fossils or discover what lives underground in the cave! Older kids can try their hand at the mini assault course which features a ramp and rope ascent, balance rope traverse and climbing net. Stay and play whatever the weather and enjoy Otter’s Reach Indoor Adventure! An educational resource for younger visitors aged 3 and upwards to a height of 1.3m. Explore and experience the park’s history through imaginative play including a gravel plant with hands on features, bulrush stilt posts, spider’s web climb, raptors’ nest and more!